Local people are being asked to share their memories and stories of dance in the city since the 1950s for a major exhibition which will be staged later this year. ‘Derby Dancing’ has been launched thanks to a £10,000 National Lottery grant from the Heritage Lottery Fund (HLF). 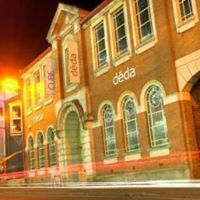 The project is being led by Déda, the Derby-based creative centre for dance, contemporary circus and outdoor performance in Chapel Street, which celebrates its 20th anniversary this year. The exhibition will include an ‘open call’ photography display, a hip hop photography display and a participatory dance map of the city – illustrated by photographs, video, memorabilia and interviews – this will be available online so that it is preserved for future generations. Please contact Déda, Tel: 01332 370911 or by email marketing@deda.uk.com to contribute stories and memories or to find out about the volunteering opportunities.